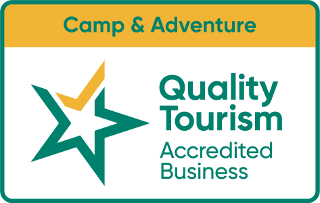 Kangaroobie’s action-packed five-day program is the most popular with school groups, however we’re happy to cater for shorter stays with custom-made programmes to match your group’s educational needs. Kangaroobie’s staff are trained to cater for children in grade three, right through to university students. Kangaroobie regularly welcomes school groups from around Australia and overseas – including America, Russia, Japan, Singapore, Korea and Malaysia. 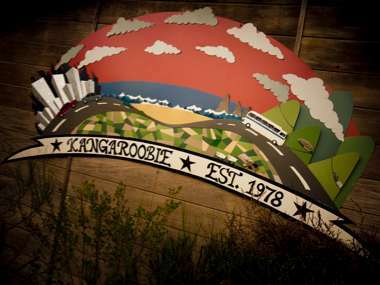 Travel to Kangaroobie, which is three hours’ drive from Melbourne. School groups travelling from the East often enjoy a visit to the Marine Study Centre at Queenscliff and Colac is a popular lunch-stop. On arrival at Kangaroobie your group will be welcomed with afternoon tea, an introductory talk and an orientation walk. Free time is allowed for settling in and exploring the camp, before a tasty dinner. In the evening enjoy a night of fair dinkum Aussie fun with musician and bush dancing instructor Ken Hooke. A visit to Flagstaff Hill Maritime Village at Warrnambool and nearby Tower Hill gives students an interpretative introduction to life on the high seas for Australia’s first European settlers, and stories of the country’s first people, with a chance to see iconic Australian wildlife. In 2008 Flagstaff Hill Maritime Village was awarded the prize for Victoria’s top Tourist Attraction for the second year running. Created around the original 1859 lighthouse and fortifications, Flagstaff Hill takes visitors back in time. By visiting the recreated maritime village and interpretive centre, students hear, see and experience the hardships of those who survived the long sea voyages from Europe and those who fell prey to our treacherous ‘Shipwreck Coast’. Tower Hill Reserve, tucked inside a spectacular dormant volcano, is a haven for wildlife including koalas, emus, kangaroos, sugar gliders and many species of water birds. The reserve is also rich in human history. Members of the Worn Gundidj Cooperative can guide students on a range of topics including Aboriginal music and language, traditional games, hunting and gathering, or traditional dance. Please contact us for the current cost per student for this activity. An alternative day-trip for Day Three is a visit to Cape Otway Lightstation, Australia’s most important lighthouse, built in 1848. In the winter months students can look for whales from the lighthouse balcony, 90 metres above where Bass Strait meets the Southern Ocean. Lightstation staff can provide a full day of experiential learning activities based on the history of the lighthouse. The Cape Otway heritage precinct also includes a Telegraph Station and World War Two Radar Bunker. Surfing is a big part of Victorian culture, so we can arrange lessons on board riding, or horseriding, too. After dark a trivia quiz or disco is always a hit with students. Spend an exciting day exploring the Great Otway National Park and crossing the Gellibrand River on a raft, walking over the sand dunes to a pristine beach. Enjoy beach activities and lunch with great views of the Shipwreck Coast and its trademark geology. Depart Kangaroobie and travel along the Great Ocean Road – visiting the beautiful coastal scenery of the Port Campbell National Park, including the Twelve Apostles and Loch Ard Gorge, before heading back to school.